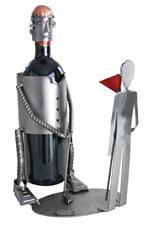 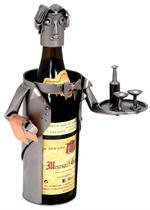 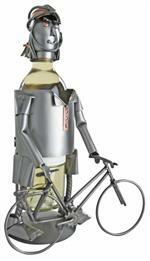 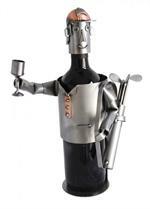 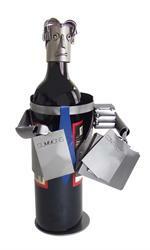 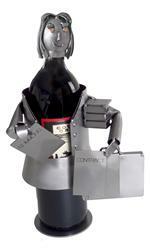 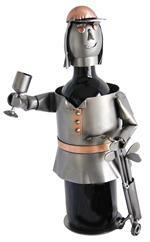 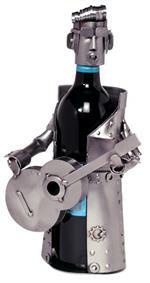 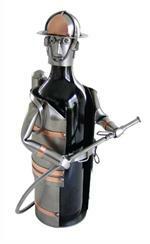 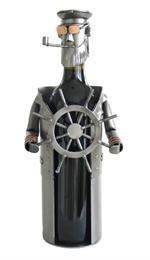 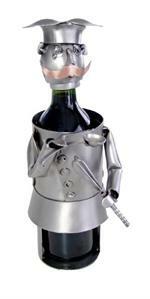 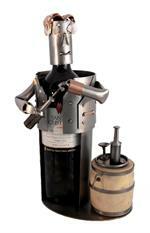 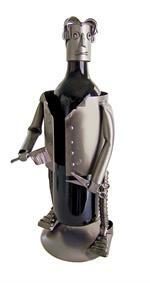 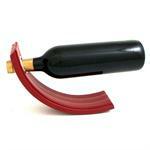 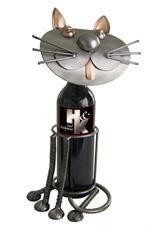 Our metal wine bottle holder figurines & wine caddy sculptures are HAND-MADE in Germany. 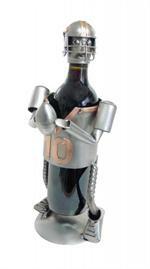 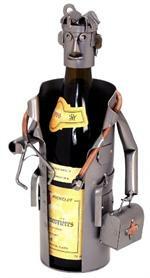 Each wine caddy figurine sculpture has a certificate of authenticity. 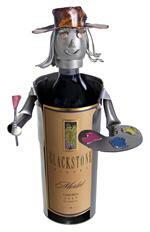 Our wine caddies are all original designs. 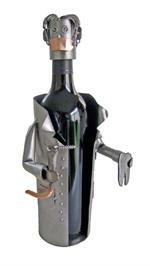 Each metal wine bottle holder is made of recycled steel and copper. 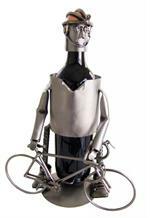 Due to the hand made nature and the use of recycled steel, no two metal wine bottle caddy figurine sculptures are exactly alike. 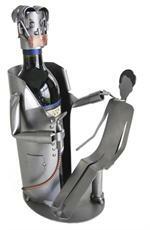 See below for different models such as pharmacist, golf, cat, fish, doctor dr, parrot, and more wine bottle figurines. 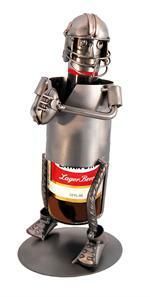 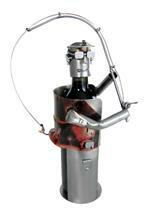 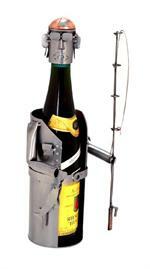 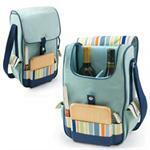 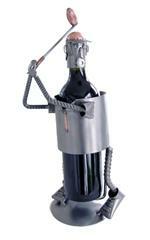 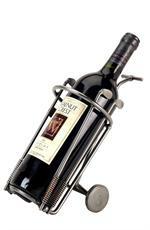 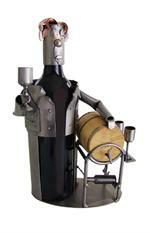 All of our Wine Caddys are 12" tall, to accommodate a variety of wine bottle sizes.